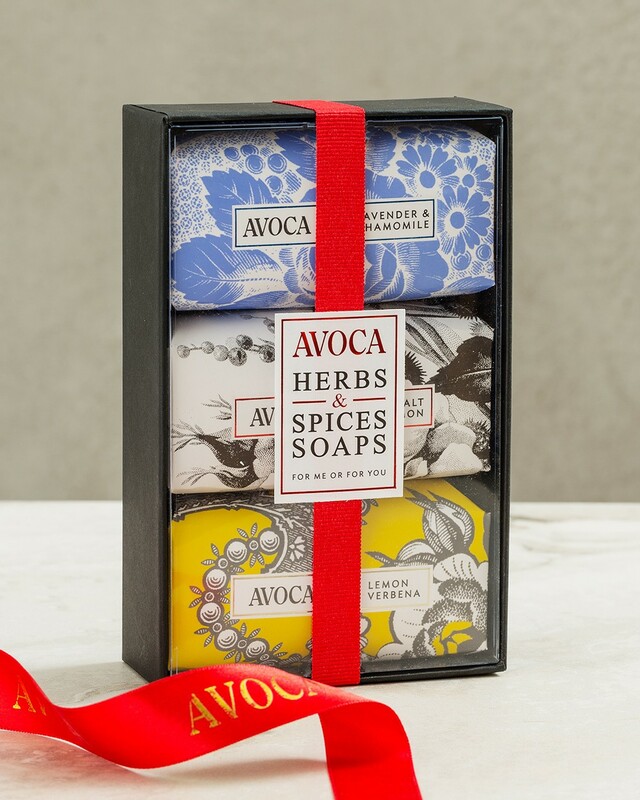 Our ‘Herbs and Spices’ gift set contains three of our unique soaps: Lemon Verbena, Lavender and Chamomile and Sea Salt and Lemon. A gift that’s sure to sit pretty in any bathroom. 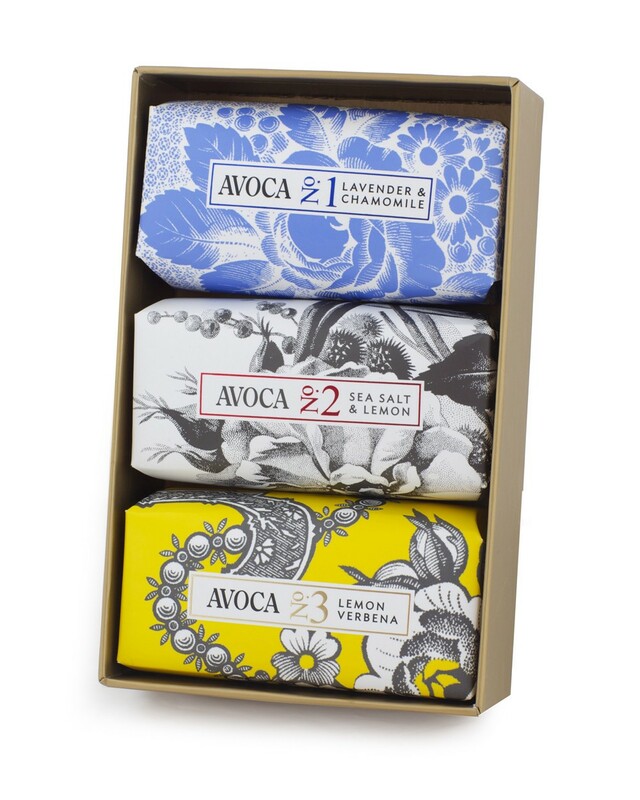 Contains 3 Soaps: Avoca No. 1 Lavender & Chamomile, Avoca No. 2 Sea Salt & Lemon, Avoca No. 3 Lemon Verbena.